Help me optimize my connection pls. Topic: Help me optimize my connection pls. 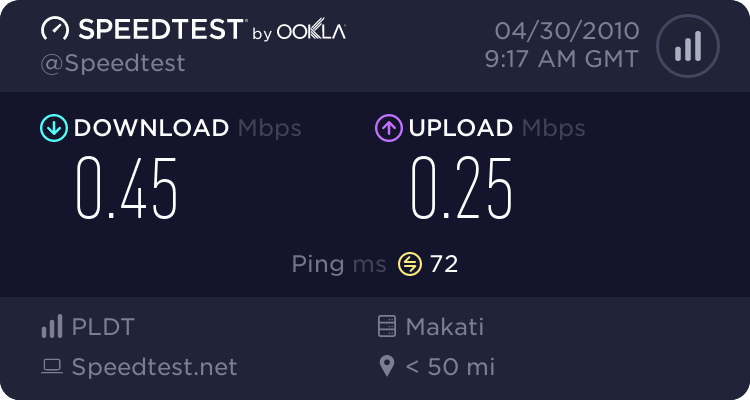 Re: Help me optimize my connection pls. sometimes it reach 500-600 but sometimes 400+. how to make it stable to 500-600 speed? Again where the = has no value. Blank out the setting.. save the new settings and reboot..
Something else to remember and your provider is never gonna tell you this..
thank you for the settings and for the information. I guess that's the most that i can get.